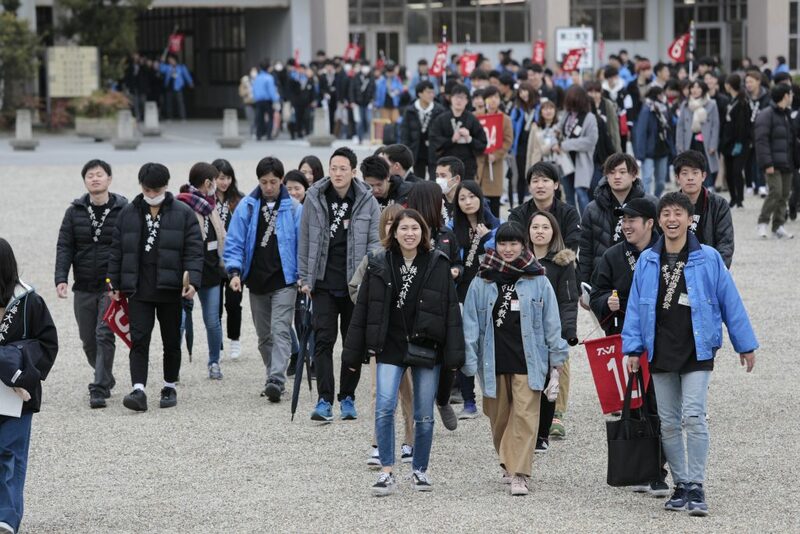 The 2019 College Division of the Students Training Course was held in the Home of the Parent between March 3 and 9 under the theme “Feel! Express! The Joyous Life!” This year’s training course welcomed to Jiba a total of 488 university, junior college, graduate school, and technical school students (272 male, 216 female) from all across the country. During the week-long course, the students attended lectures, practiced the dance and musical instruments for the service, and engaged in group work activities, learning more about the teachings and strengthening friendships. The High School Graduates course was then held for the fifth time from March 10 to 12. A total of 405 high school graduates (189 male, 216 female) attended the course, pledging to keep the teachings in their hearts as they start a new journey.